The weather has me smh (FYI – that’s new lingo for shaking my head). But yet, something doesn’t feel right about looking for the snow. Don’t we typically NOT want it to snow?? I guess it’s really true – you don’t miss something until its gone LOL. 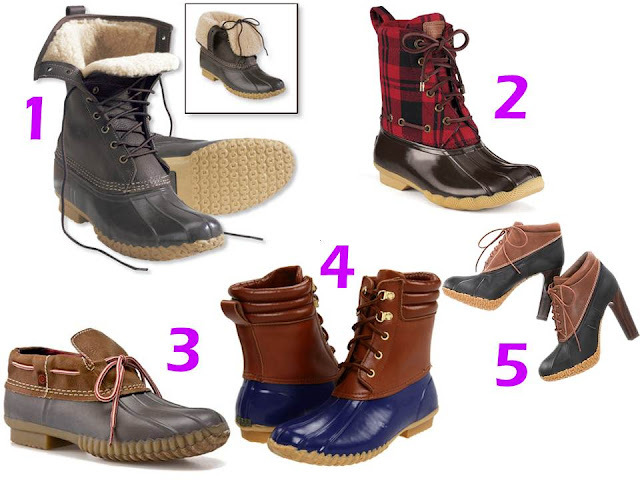 Regardless of the weather, this winter a new boot is creeping around fashion sites. The Duck Boot! The San Francisco Chronicle wrote a story about the emerging duck boot trend which is apparently coming from college campuses. According to L.L. Bean, a popular maker of the boots, sales have gone from 150,000 boots four years ago to 400,000+ this year! If you are looking to hop on this duck boat, here are some options. What do you think about this trend? Would you rock it? I’m just not sold yet, but I get the functionality of it!